Look what my friend Serena got me for my birthday this year. I thought nothing could top last year's gift. 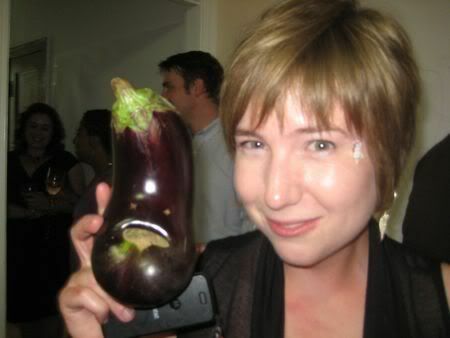 An eggplant with an old man face. Noticing a theme? Serena and I are both so easily amused, I love it! All it takes is a vegetable with a smiley face to make me laugh. Serena made the smile with the wax from Baby Bel cheese, in case you were wondering. 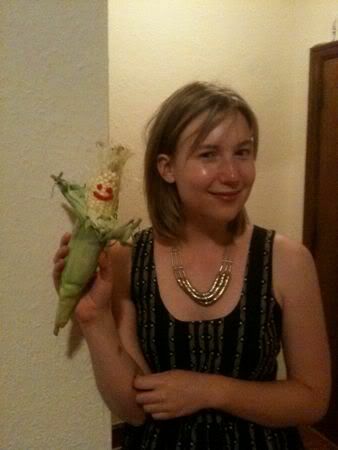 I considered taking Cornelius with me to U Street Music Hall, but decided against it. 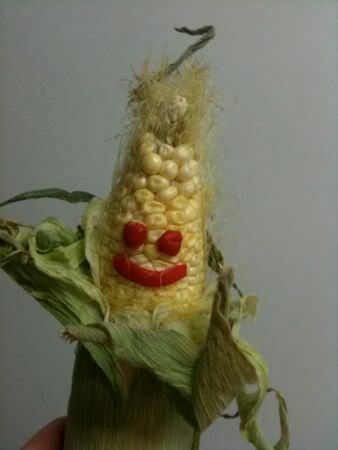 That evening, I went to catch a cab, but Cornelius wouldn't fit in my purse, so I was waving the ear of corn around as I was trying to hail a taxi. I got one, climbed in and the cabdriver said (and I quote), "Now here is a girl carrying something unusual." Ain't that the truth! 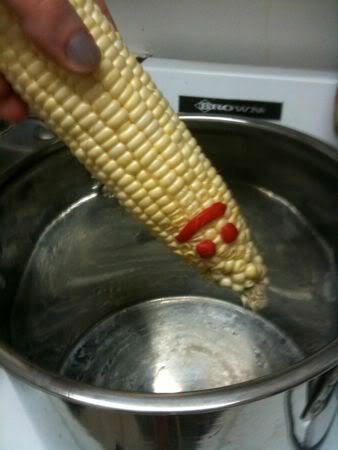 Cornelius came to a tragic end though. July 7, 2010 by Adele Chapin.